Still needs a paint and I am looking into replacing the gears for the table feed as they are shot and means that the table feed is not as smooth as I would like. I will update as I get these little bits sorted. Very nice Andrew - well done and well documented restoration. I have the Union equivalent which I suspect needs the same treatment. The work table isn't parallel to the slide. The drive pinion on mine looks as though it's been filed and the drive feels very rough. 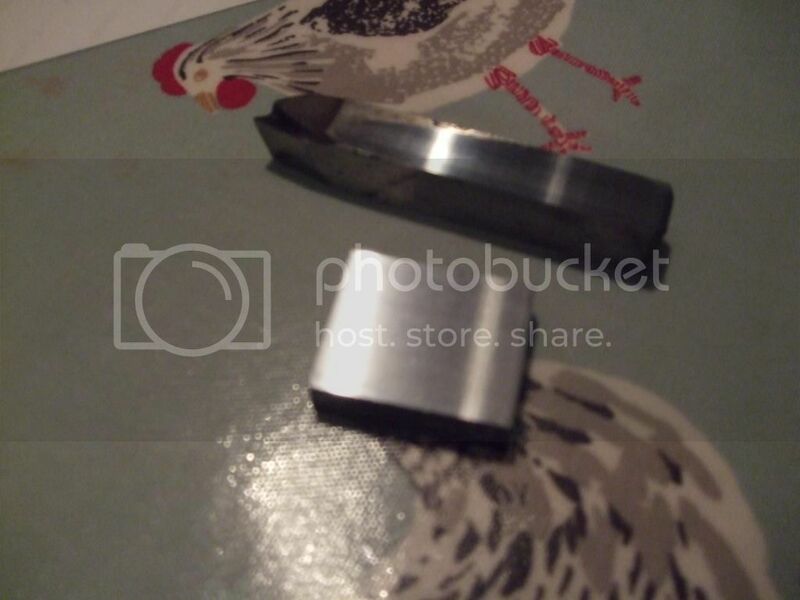 Your final picture shows I think a magnetic chuck on the table. 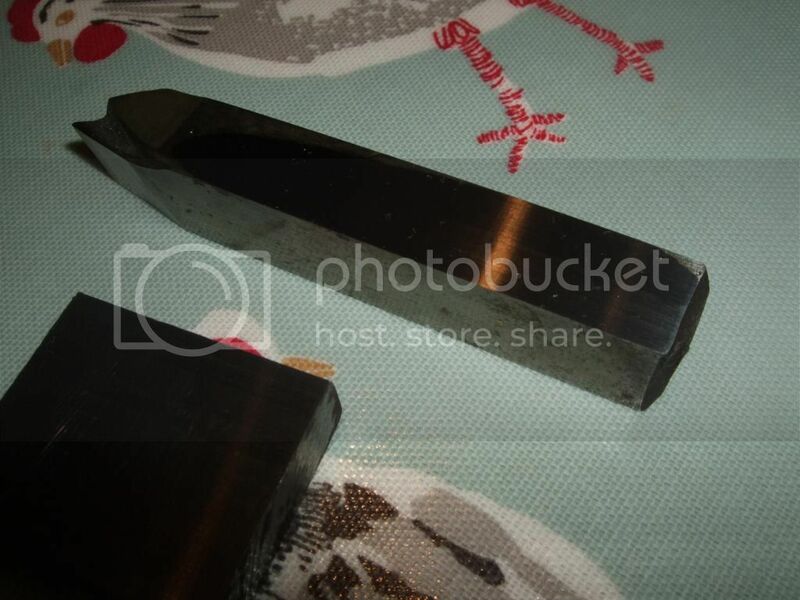 Can your grinding wheel cover the whole chuck? 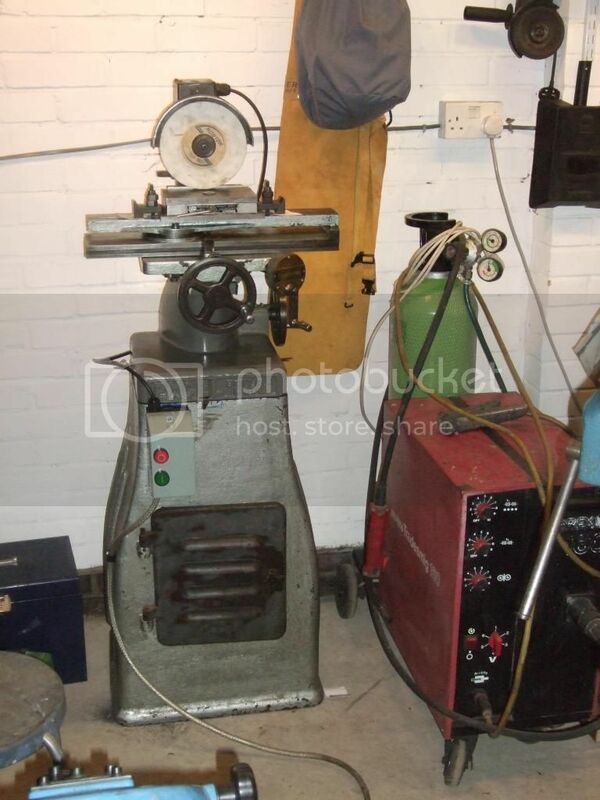 Mine has a different grinding spindle (double ended and with a seperate motor) to what I think was fitted originally and I can't cover the width of the table. phil, The mag chuck is not original it was a flea bay purchase (£20) and is a eclipse model (something like ak47 but I will have to go and check!). It covers the length easily but only just covers the width. I have knocked up a dresser this morning and have had a go at surface grinding. The results are ok except that if you look in the right light there are fine ripples on the surface. I will post some pics in a bit on the main forum. Some of this is due to the worn pinion but some is also probably due to me not having the right wheel etc. I guess I cant expect to much from what is just a tool and cutter grinder. Do you know what size the pinions are? My measurements point to 14dp but I am not 100% sure. I just measured the rack with a steel rule and mine works out to 16DP (give or take a midges). I don't know the reasoning behind using a straight spur gear on an rack with angled teeth. Maybe it has some of the effect of a helical rack but there must be a lot of sliding involved which is maybe why the pinion wears out. I got mine to run a bit smoother by shimming out the rack to give better engagement with the pinion. Thanks. I will recheck my measurements. Mine could well be different anyway. 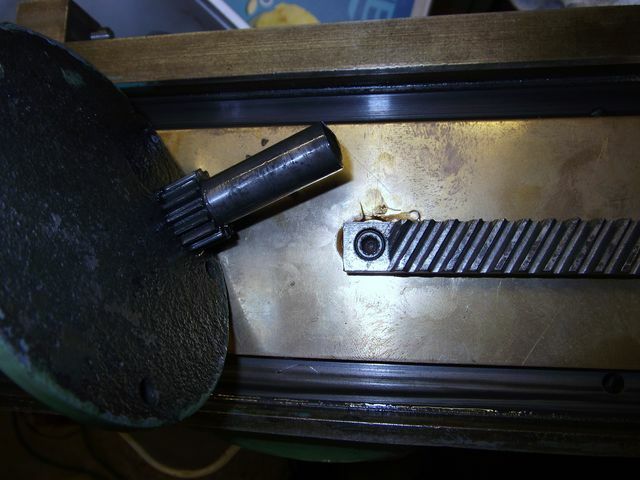 I am hoping that I can use standard parts from hpc gears, with the bores and widths modified. 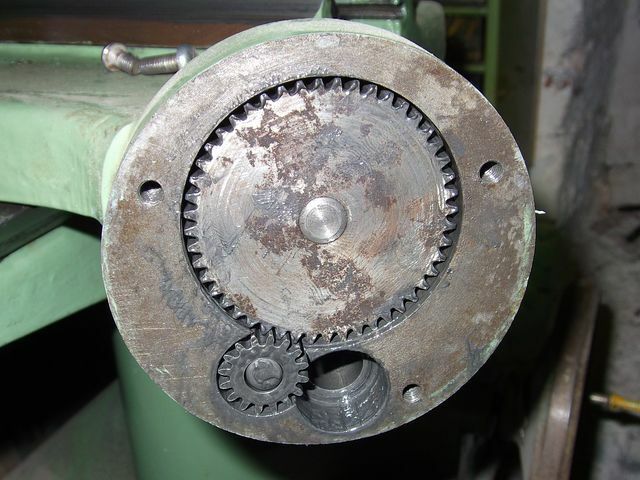 I don't have any change wheels for my dividing head for helical gears, its they look like a pain to make! 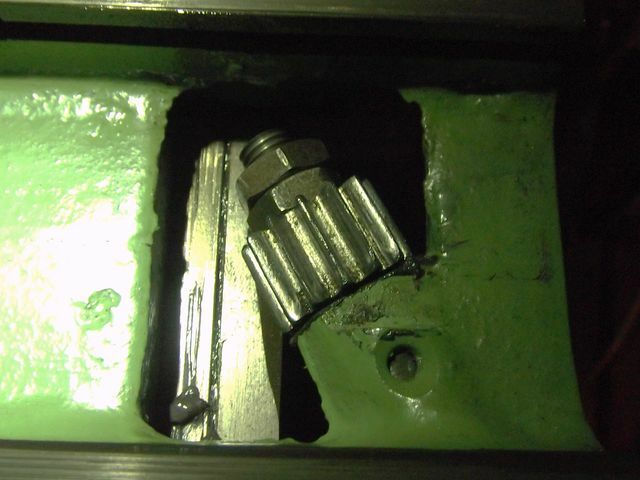 I think you'll find that the pinion is just a straight spur gear - it is on mine anyway. That's why I was questioning the arrangement of the angled teeth on the rack running with a straight cut gear. If I can I'll try to get some measurements off the pinion but it is very crudely made. I measured the pitch of the rack perpendicular to the teeth. Yours must be quite different to mine. There are three spur gears between the handle and the pinion which mates with the rack. These are 24DP. Double checked the spur and rack gear def 14dp. I have sent an enquiry into hpc gears. Below is part of the enquirey showing the gear arrangement. generally ok but you can just make ot the slight ripples in the surface. I won't disagree with your assessment of the picture quality - the grinding looks pretty good to me. 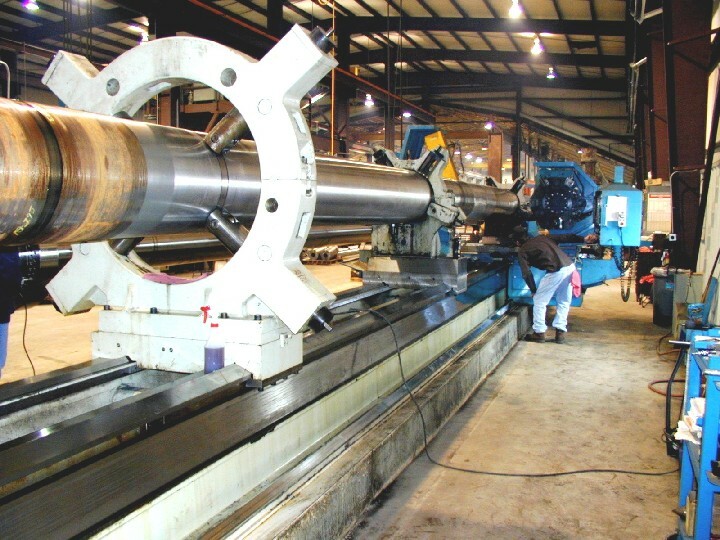 A horizontal surface grinder usually (always?) 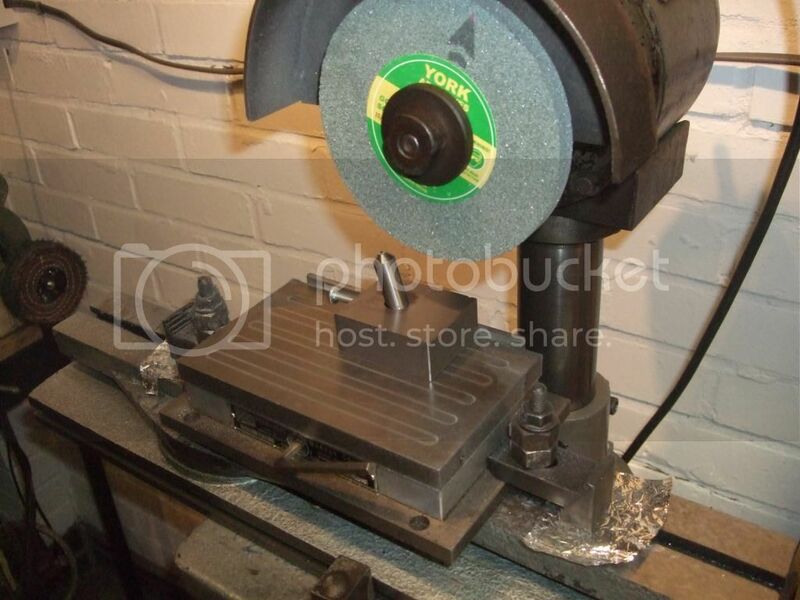 has the grinding wheels mounted on an arbour with facility for balancing. The wheel being out of balance is probably the cause of the slight ripple. 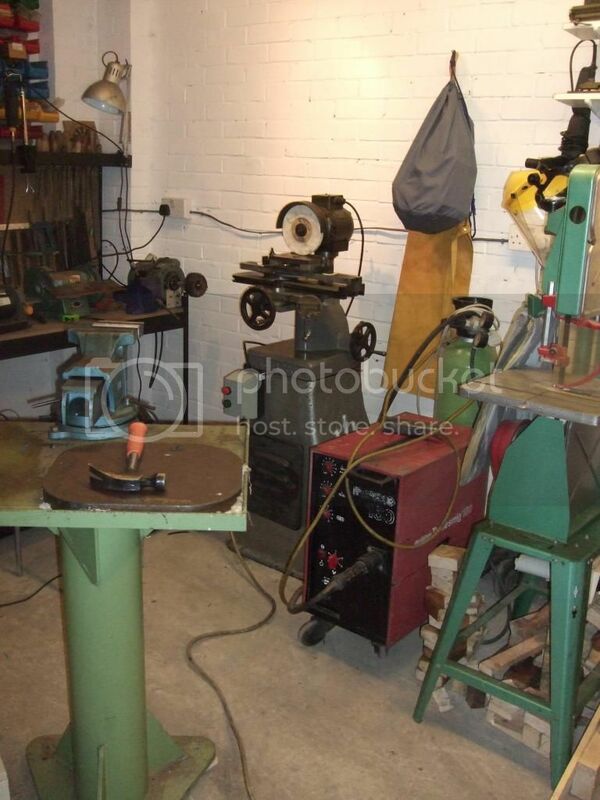 One job on my 'to do' list is to make a surface grinder and I was going to use a timing belt drive for the traverse. Good luck with your HPC enquiry. Well I thought that it was time for an update on this saga. I looked into the new gears and at what would work out at over £150 I decided to give it a miss. I changed the wheel and finish improved to the point where if I took very fine final cuts the waviness was not perceivable.